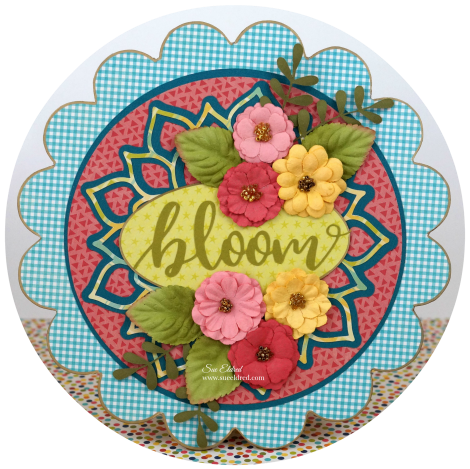 Bloom into Spring with this DIY Bloom Floral Plaque. 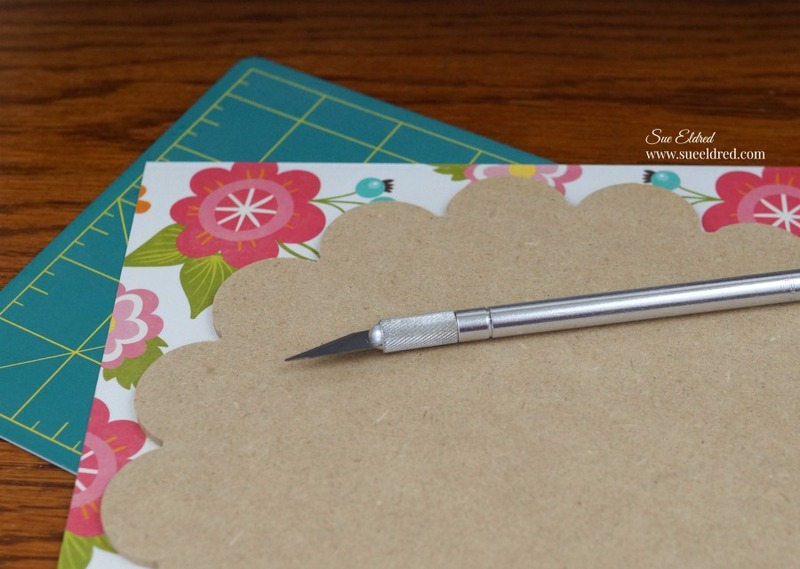 I admit it…I’m an adhesive snob. from using the wrong adhesives. I tell people all the time “not all adhesives are created equal”. That’s one reason why I was so excited to be on the Xyron 2018 Design Team. 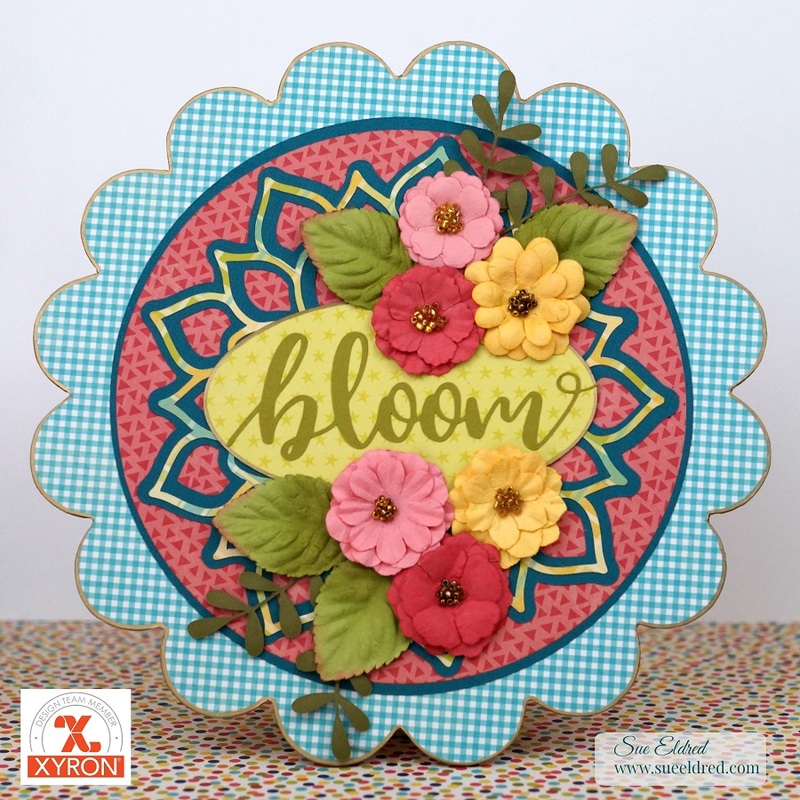 The DIY Bloom Floral Plaque is the first of many projects to come using Xyron. 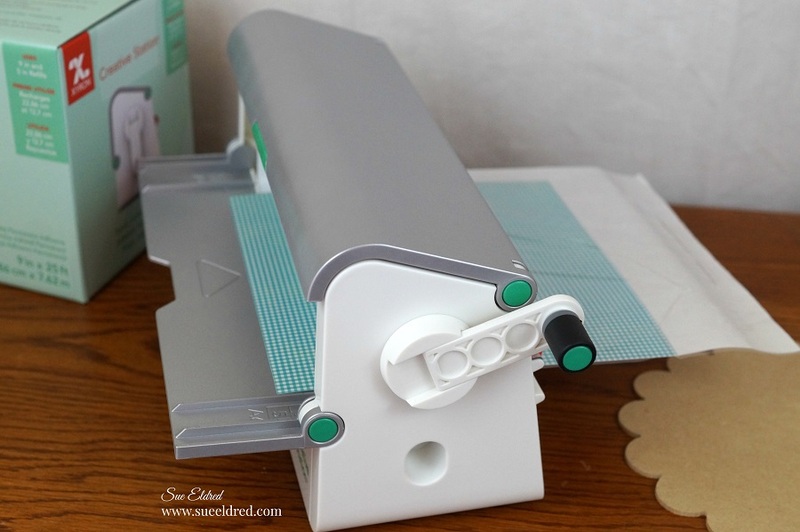 Lay a piece of a 8 1/2″ x 8 1/2″ piece of decorative scrapbook paper (design side up) on the *Xyron Creative Station, 9″ crank the handle to run the paper through the machine. As it moves through the Xyron Creative Station it adds adhesive to the back side of the paper. You get complete coverage, no gluing, no wrinkling, no bubbles! 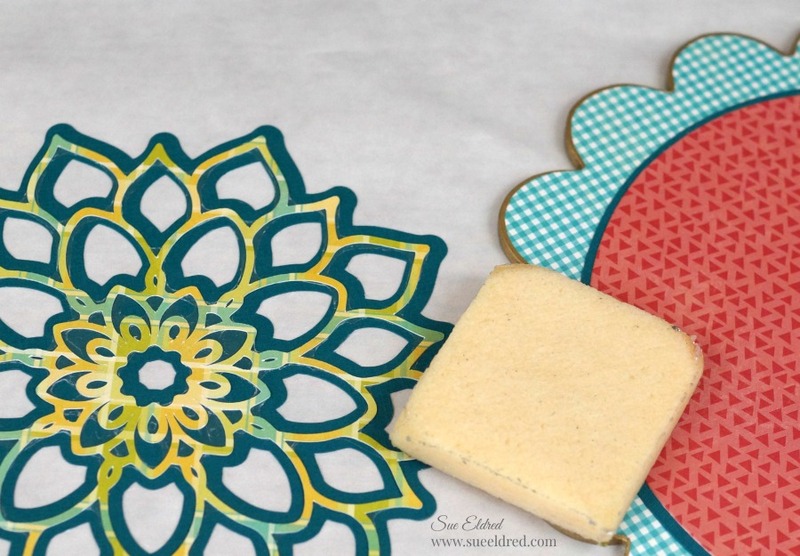 Lay Wood Flower Shaped Plaque onto the adhesive side of the paper. 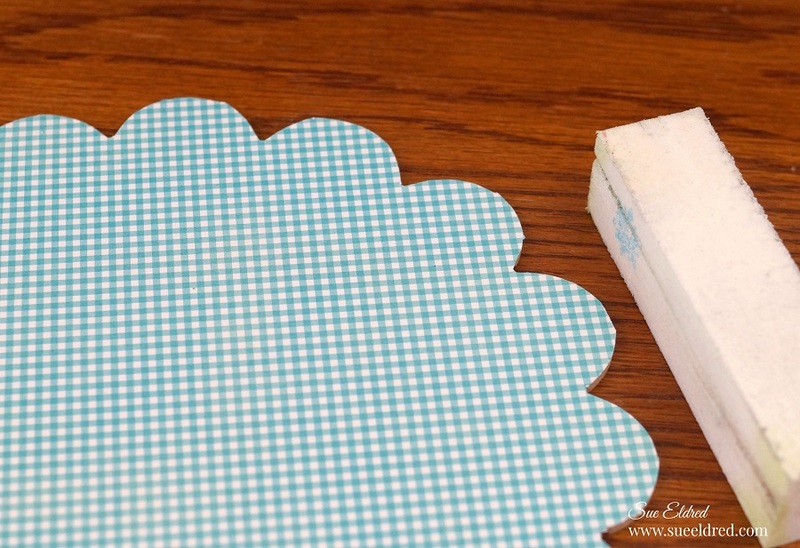 Carefully cut around the wood shape with a craft knife and craft cutting mat. I used my electronic die cutting machine and cut files to create pieces for my background. 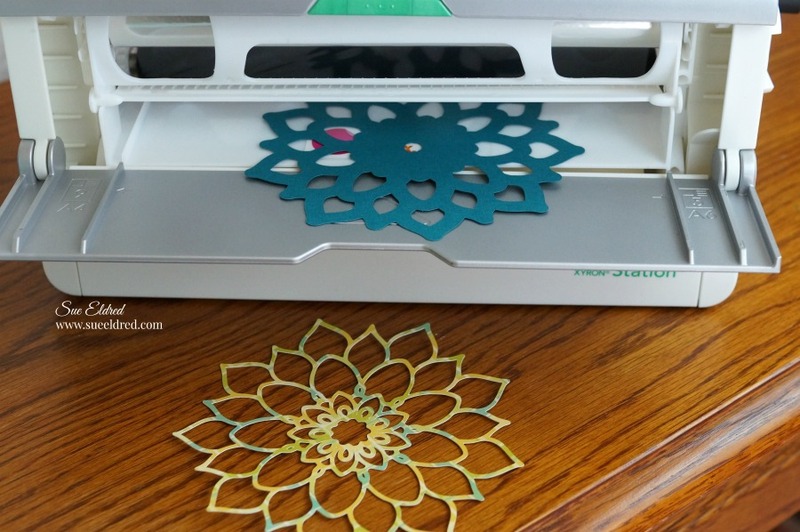 The Xyron Creative Station is great for adding adhesive to the back of intricate pieces. After the layers are adhered together, I use the XYRON Adhesive Eraser* to remove any extra adhesive from the edges of my pieces. Remember to use a gentle touch. 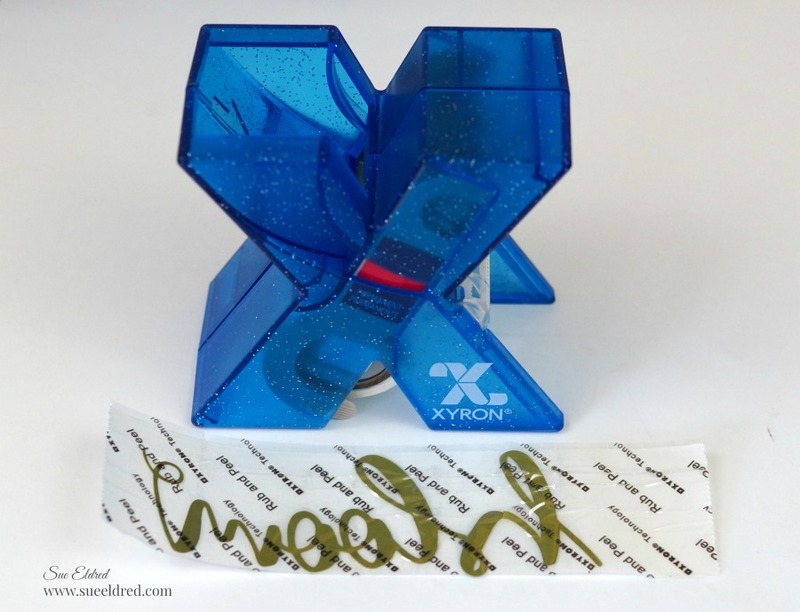 The XYRON Adhesive Eraser* is one of my favorite must have tools. I keep it on my desk at all times. I think every paper crafter should carry one in their supply box. 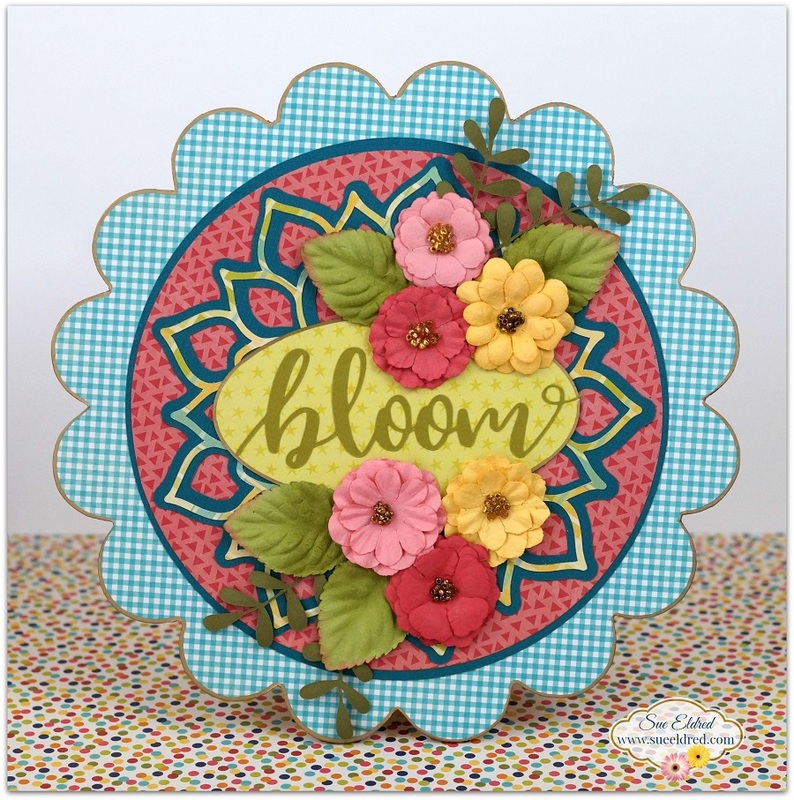 For smaller pieces, like the word “bloom”, I used the Xyron Sticker Maker 1.5 inch* . Easy to use and no waste. Just rub and peel. 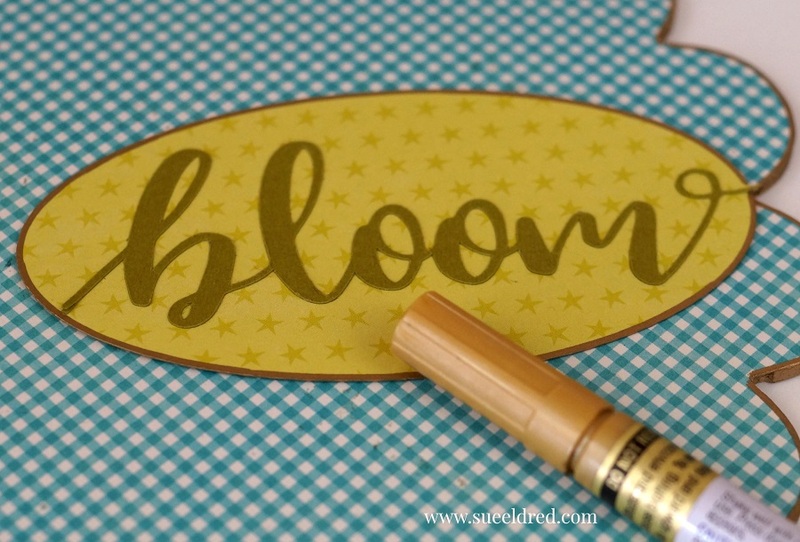 For added detail…use a gold paint pen to edge around the outside of the Wood Flower Shaped Plaque and the decorative scrapbook paper oval. 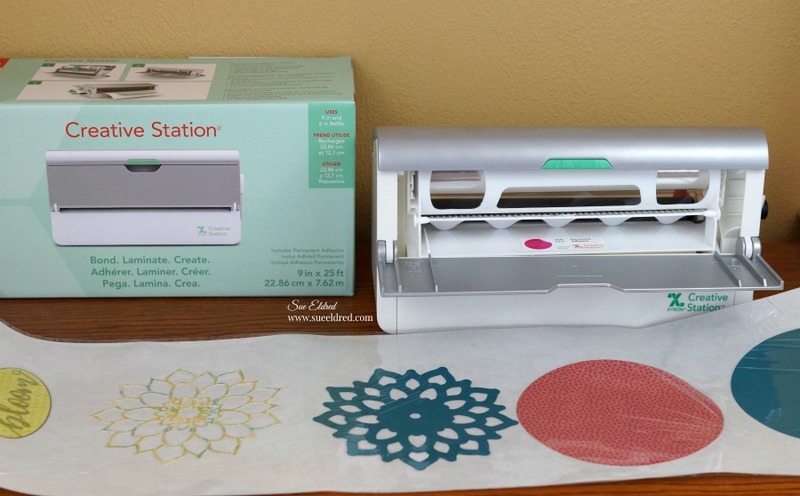 My Xyron Creative Station makes quick work of assembling all the pieces of my DIY Bloom Floral Plaque. Finish embellishing the plaque with a few paper flowers glued into place with craft glue. Fabulous project, love your home décor piece! I love Spring! Thanks for super easy to follow directions! Thanks Pam. I appreciate that.